The MINOS+ collaboration at Fermilab collected data with a medium-energy neutrino beam from September 2013 to June 2016. 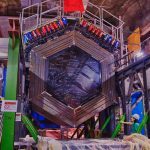 The collaboration has exploited the data to set more stringent boundaries on the possibility of sterile neutrinos mixing with muon neutrinos. 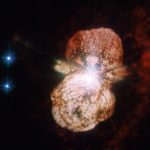 How do you make a neutrino beam? Neutrinos are notorious for not interacting with anything, and yet scientists are able to make beams of neutrinos and point them in very specific directions, hitting targets many hundreds of miles away. In this 5-minute video, Fermilab scientist Don Lincoln explains the simple and clever technique researchers use to make this happen. 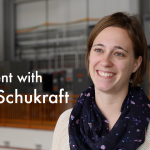 Meet Anne Schukraft, a neutrino scientist at Fermilab. Schukraft is a member of the Short-Baseline Near Detector experiment, which will investigate ghostly particles called neutrinos. SBND will also help the lab prepare for the international Deep Underground Neutrino Experiment, hosted by Fermilab. In her spare time, Schukraft likes to swim and cycle. She appreciates Fermilab’s collaborative atmosphere and believes it creates a positive environment for current and future generations of scientists. From NPR’s Here & Now, March 19, 2019: Fermilab is a global center for research into a tiny particle that could help answer some of the biggest questions in physics: the neutrino. Neutrinos have no electrical charge and almost no mass, but they’re everywhere. Fermilab Director Nigel Lockyer and Fermilab Deputy Chief Research Officer Bonnie Fleming talk about the Deep Underground Neutrino Experiment, visit the NOvA experiment and discuss the benefits of fundamental research. 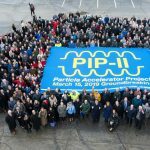 The March 15 ceremony marks the start of work on PIP-II, a major new accelerator project at Fermilab. 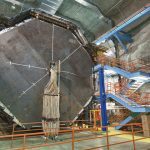 The PIP-II accelerator will power the long-term future of the laboratory’s research program, including the international Deep Underground Neutrino Experiment. 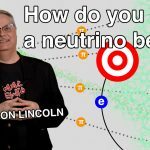 In this two-minute video, learn how scientists and engineers at universities and laboratories are working hand-in-hand with companies to design electronics, build hardware and develop computer programs for the Long-Baseline Neutrino Facility and the international Deep Underground Neutrino Experiment, hosted by Fermilab. 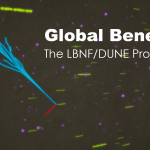 From Discover, March 12, 2019: Fermilab, along with the Sanford Underground Research Facility in South Dakota, is starting a new project called the Deep Underground Neutrino Experiment, or DUNE. The goal is to track and study shadowy neutrinos like never before. Fermilab scientists Deborah Harris and Angela Fava discuss the experiment.